Rohatgi made it clear that while he is not blaming ministry officials for the delay, the procedure is such that it is bound to take time. 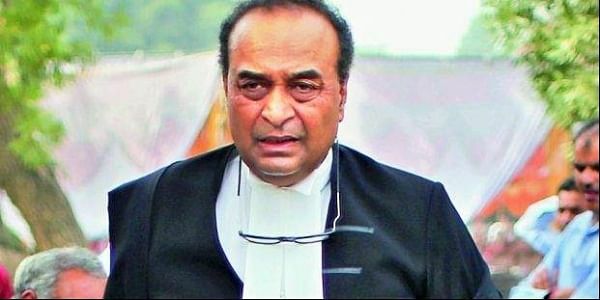 NEW DELHI: Attorney General Mukul Rohatgi has urged the government to junk a rule which bars him from giving legal advice to various ministries without involving the Law Ministry, saying it delays decision-making on important matters. Rohatgi has also said the rule which requires law officers to give legal opinion to various central ministries and departments only when the issue is referred to them by the Law Ministry runs contrary to constitutional provisions. In a recent letter to Law Minister Ravi Shankar Prasad, the top law officer said various ministries, departments and even ministers have declined to route their requests for his legal opinion through the Law Ministry due to urgency of the matter. Copies of the letter have been sent to Finance Minister Arun Jaitley and Nripendra Mishra, the Principal Secretary to the Prime Minister. He said if every such proposal was routed through the Law Ministry, the entire work would come to a grinding halt and no urgent remedial measure could be taken since the Law Ministry takes it own time. Rohatgi made it clear that while he is not blaming ministry officials for the delay, the procedure is such that it is bound to take time. Referring to Rule 8(e) of the Law Officers (Condition of Services) Rules, 1972, he said it provides that unless a reference is received from the Law Ministry, no advice will be given to any ministry or department. Rohatgi said the rule runs contrary to Article 76 of the Constitution which states that it shall be the duty of the Attorney General to give advice to the Government of India upon such legal matters, and to perform such other duties of a legal character, as may from time to time be referred or assigned to him by the President.